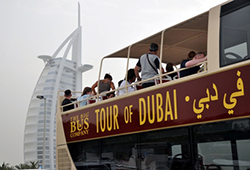 Looking for an unusual Dubai sightseeing tour whose memories will remain forever? 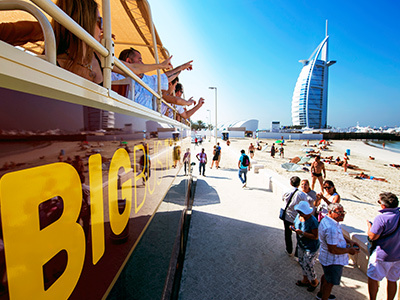 imonholidays’ hop-on, hop-off Big Bus Tour will for sure satisfy your unique travel needs. 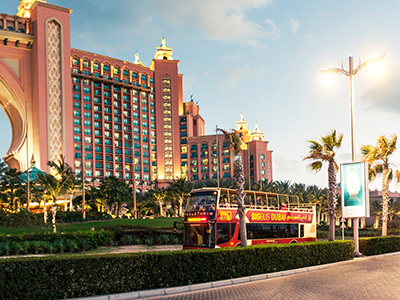 As you ride on the double-decker bus with its top deck open, you’ll soar past some of the Dubai’s most astonishing structures, traditional souks, pristine beaches, and tourist spots of cultural and historical significance. 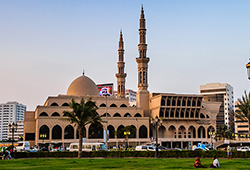 Complementing the tour is edifying commentary that is provided in eight different languages including English, Arabic, French, Italian, Spanish, Russian, and Chinese. 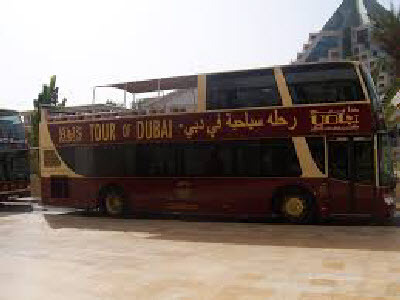 An all-encompassing Big Bus tour ticket will be valid for 24 hours, and is entitled to a free dhow cruise on Dubai Creek, free entry to Dubai Museum as well as Sheik Saeed Al Maktoum’s House, free Mercato Mall advantage booklet, and free Wafi Welcome Card that enables you to enjoy up to 20% when you spend at outlets including Mezzos and Planet Hollywood. 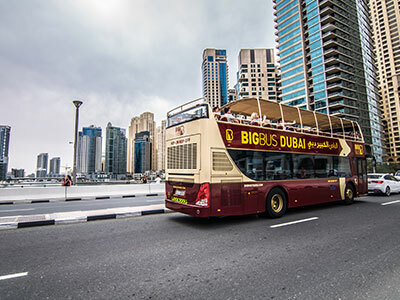 With stopover at 20 plus locations and two routes to choose from, such as Red Route and Blue Route, Big Bus Tour with imonholidays provides you with a breathtaking insight into the unique sights and sounds of Dubai. 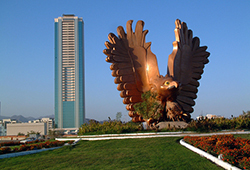 Package with two routes to choose from. An id may be requested for children on the day of tour. Please carry the voucher given to you by imonholidays and present it to Big bus staff at any Big Bus boarding point. 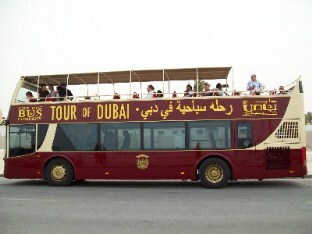 It was quite a distinctive feel to explore the attractions of Dubai in an open-top bus. Complementing the trip was a super informative commentary. 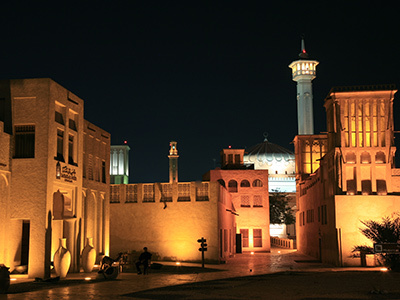 This took us through some great architecture and views which else we wouldn’t have navigated on our own. We immensely admire this trip. 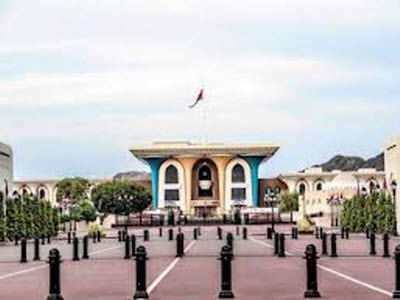 This unique way of sightseeing enabled us to see and experience a lot. We’ll do it again. Very convenient and comfortable! 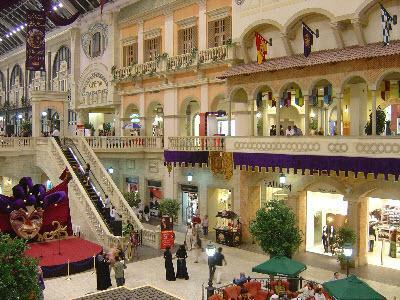 This gave us a quick overview of what Dubai is all about.